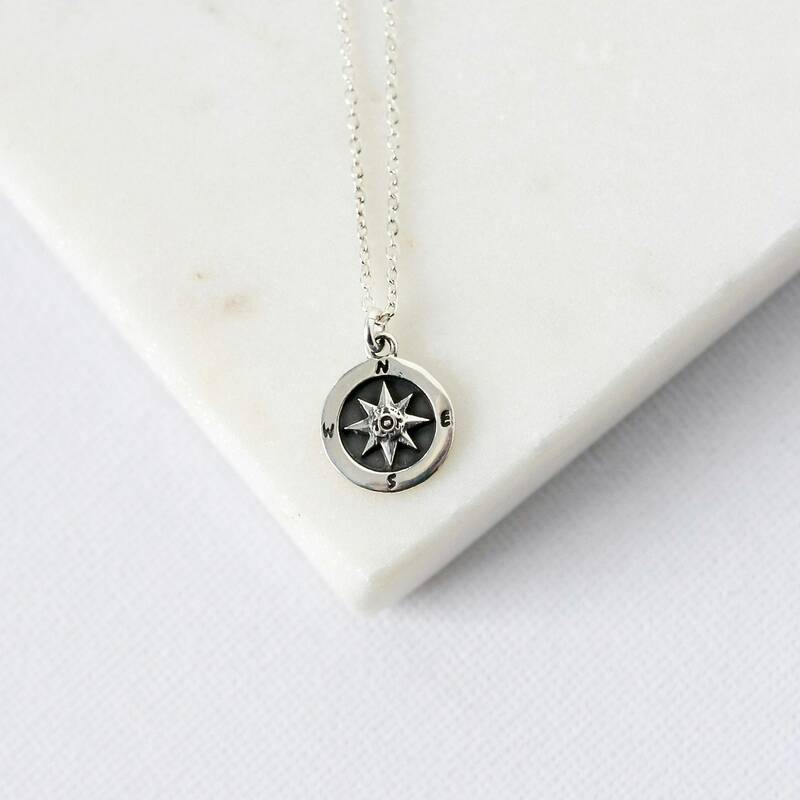 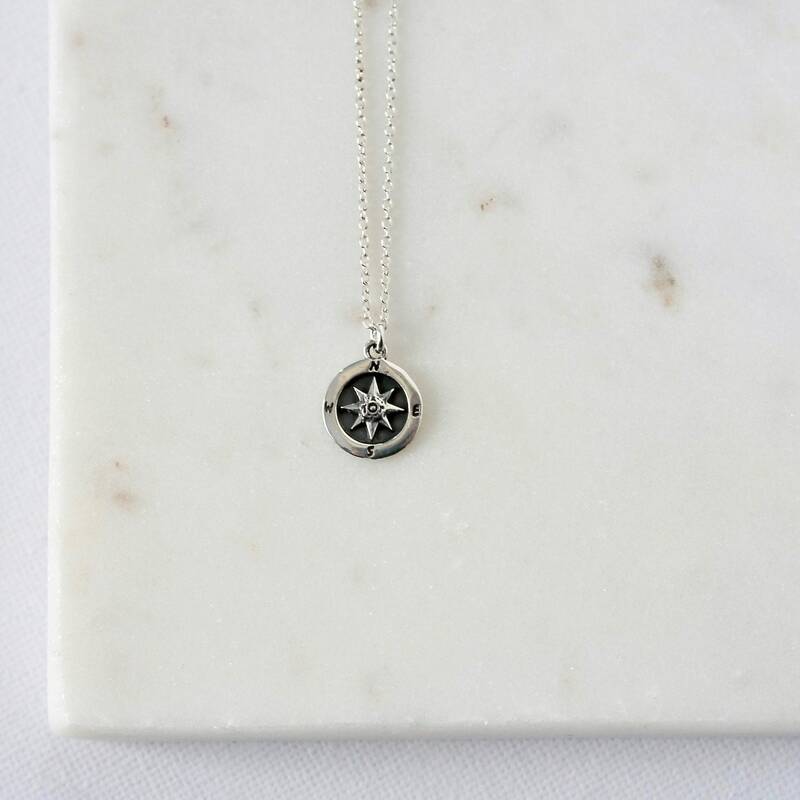 Compasses help travellers find their way and are a symbol of good luck and guidance making this charm necklace a wonderful gift for a graduate or someone starting a new journey! 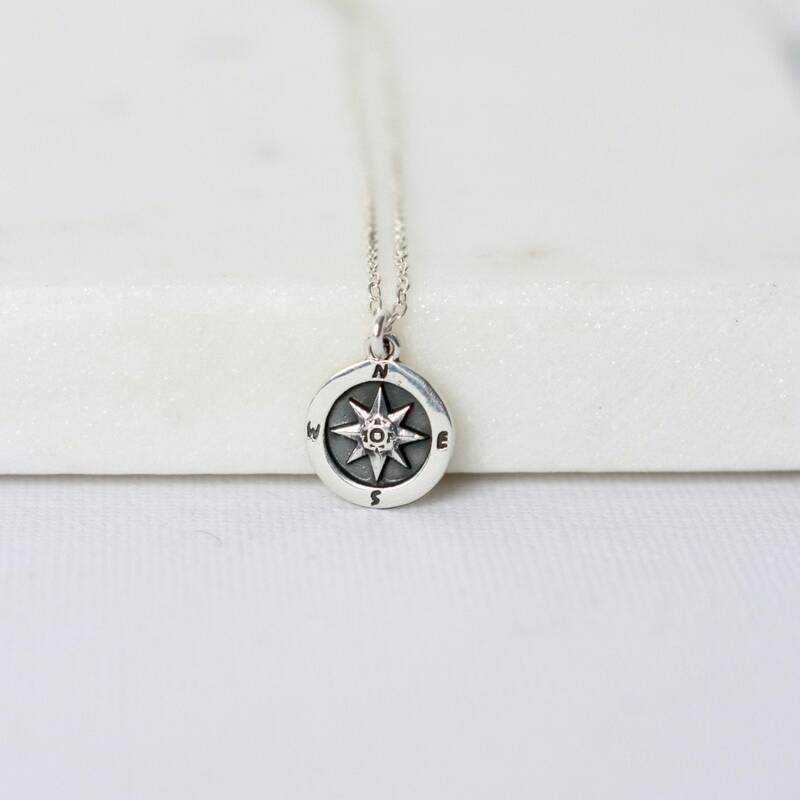 The charm features a beautifully detailed nautical star and etched letters for North, South, East and West. 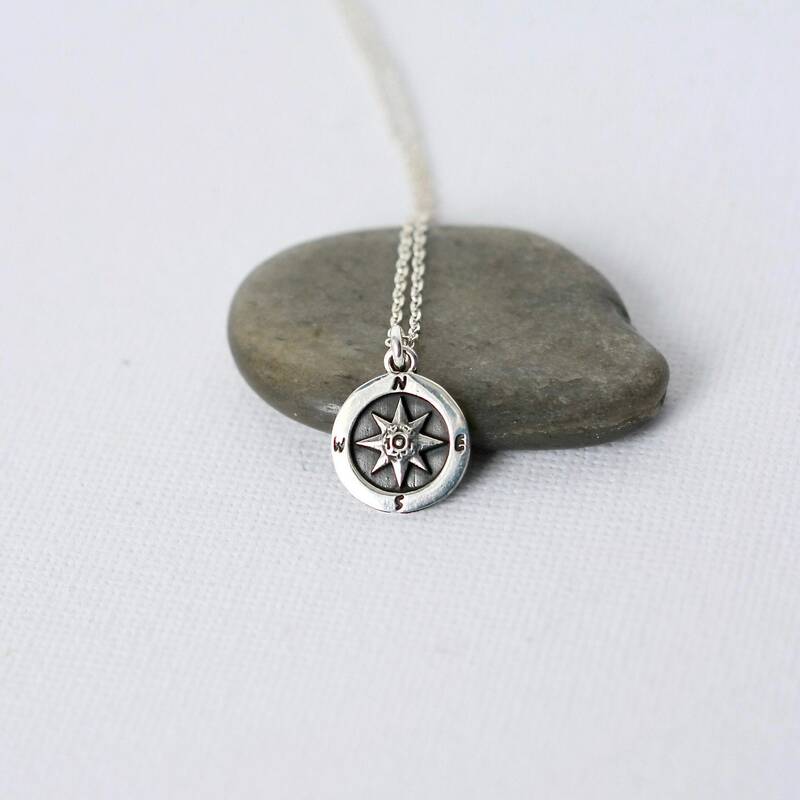 The background as been darkened for a nice contrast. 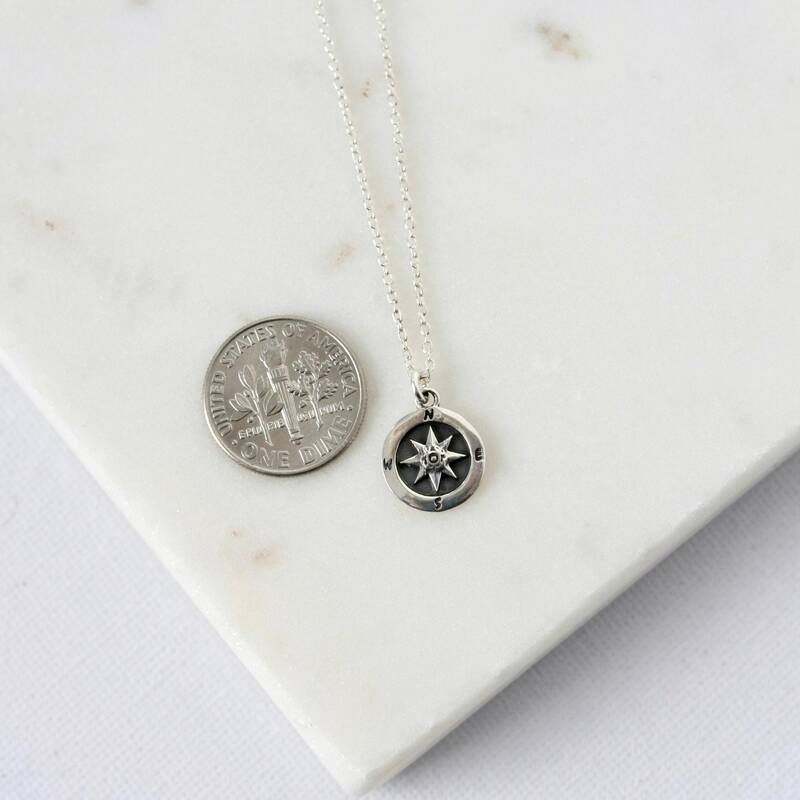 The 11mm compass is sterling silver and hangs from sterling silver cable chain. 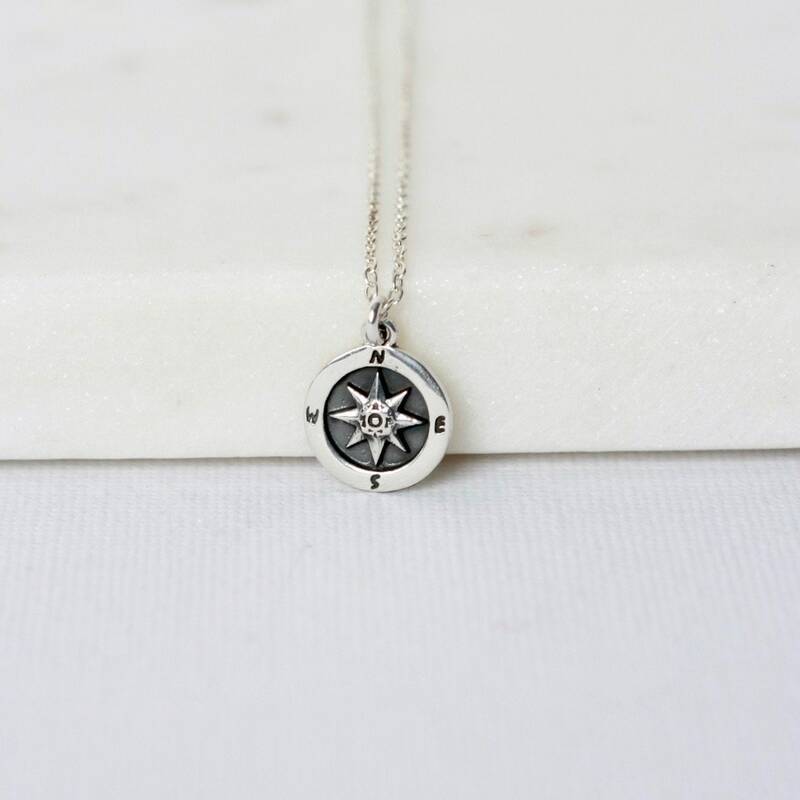 The necklace is fastened with a sterling spring ring clasp and you can choose a desired length from the drop-down menu above.